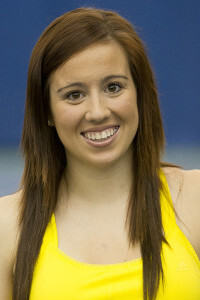 Marta Romeo and Shana Kleynen have both traveled great distances to play tennis at NKU. Despite a rocky start to the year, the two have high hopes for the rest of the season. Romeo and Kleynen are international student athletes who play for NKU’s women’s tennis team. 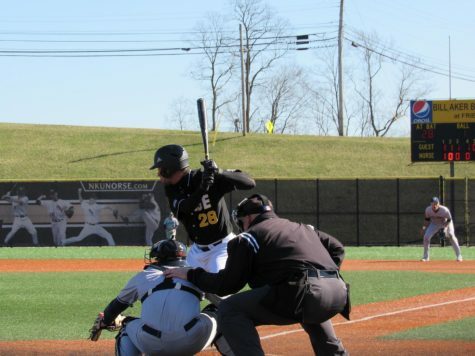 Both Romeo and Kleynen were recruited by NKU online via websites designed to bring international athletes in contact with American universities. 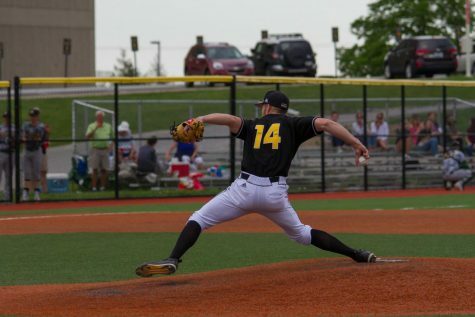 Romeo and Kleynen both jumped at the opportunity to attend college in the U.S. to pursue both an education and further athletic competition. The two explained, in Europe, athletics and schools are completely separated and unless you are a highly ranked athlete the chance to pursue both simultaneously is rare. 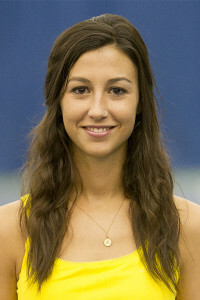 The opportunity to pursue an education while continuing to play the sport they loved competitively was the incentive needed to leave their family and friends to attend college in the U.S.
Twenty-year-old psychology major Marta Romeo was born in Zaragoza, Spain and came to America three years ago to play tennis for NKU. 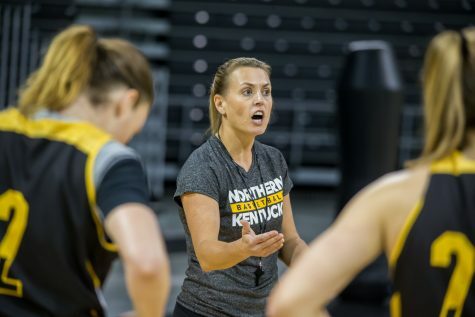 Romeo was discovered by coaches at NKU via her profile on the website agmsports.com, a site where international athletes can interact with coaches at U.S. colleges. 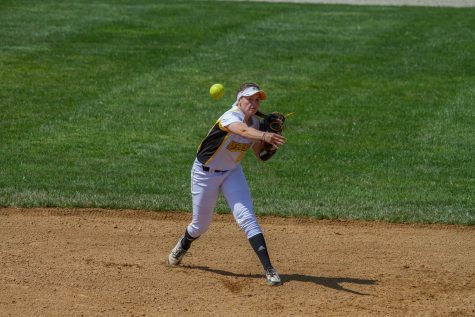 Several colleges contacted her, but she decided to attend NKU because of the lower SAT score required for admission at NKU. She had only a few weeks to learn English before taking her SAT, which made the test very difficult. “I graduated high school in June, and in July I already had to choose a university to attend,” Romeo said. Romeo explained the teaching styles of European countries differ greatly from those in the U.S., which made her first semester at NKU difficult. After her first semester abroad, she began to adjust to the new culture and teaching styles. The team flew to Florida for matches over spring break, where they went 0-3 against several Florida colleges. Even though the team flew for this trip, Romeo spoke of the fun she has had in the past with her teammates during long van rides to away games. 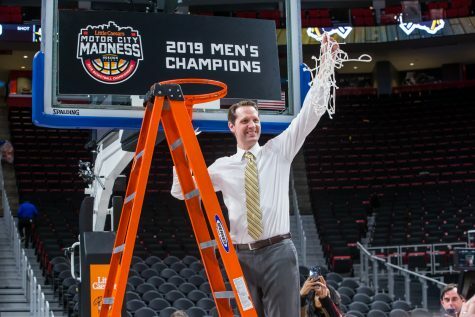 Romeo stated NKU’s move from Division II to Division I has changed more than just the way the team travels. 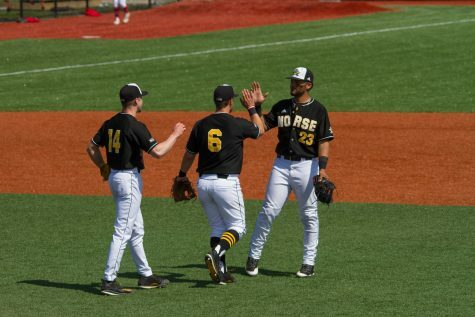 The move to Division I brought rule changes and the need for more players. “We should be like at eight or nine. If someone gets injured, we don’t have enough players,” she said. Twenty-year-old sophomore communication major Shana Kleynen was born in Diest, Belgium; 20 minutes outside the capitol city of Brussels. This is her first semester living away from home, although she has traveled to the U.S. previously. It was during those trips Kleynen decided she wanted to attend college abroad. 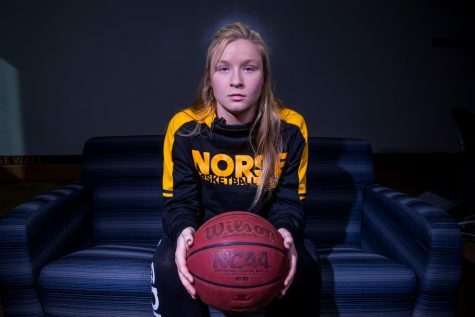 Kleynen was discovered by NKU recruiters after her coach posted a video of her online. She was approached by several schools, but found NKU to be her best option with the limited time of two weeks to prepare for the SATs. She said the adjustment to American teaching styles and the new language made the test very difficult. Kleynen, who is in her first semester at NKU after transferring from a school in Belgium, said she still has not completely adjusted to living in a foreign country. Her first few weeks at NKU were not pleasant. “I got the flu and mono after… I couldn’t even leave my bed, I was just sitting in my room alone. I’ve had nobody in the beginning,” said Kleynen. She went on to say her teammates and other international students have helped her begin to feel more comfortable living abroad. Kleynen said the move to Division I has made this year difficult, especially since she got sick. She said the team needed her due to the increased amounts of matches. “I couldn’t play when I had mono,” she said. This made her absence on the court strongly felt.